To create a wonderful curl at the hem of a skirt a woven trim can be used, Sometimes called Crinoline braid or horse hair braid. 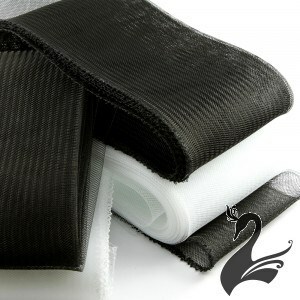 Originally woven from horse hair this trim has been used as a stiffener throughout victorian fashion. Developed in Synthetic materials it was used for hats in the 20’s and kept the skirts wide in the 50’s. The flexibility comes from the way it is woven in a strip so is technically on the bias, this allows it to be shaped through curls and circle skirts. The width and weight can be selected depending on the application. Here is an example from the house of adorn. Below shows the braid used to emphasise the curl in a ruffle. Here and the top image show a heavier version holding the shape in an amazing gown. 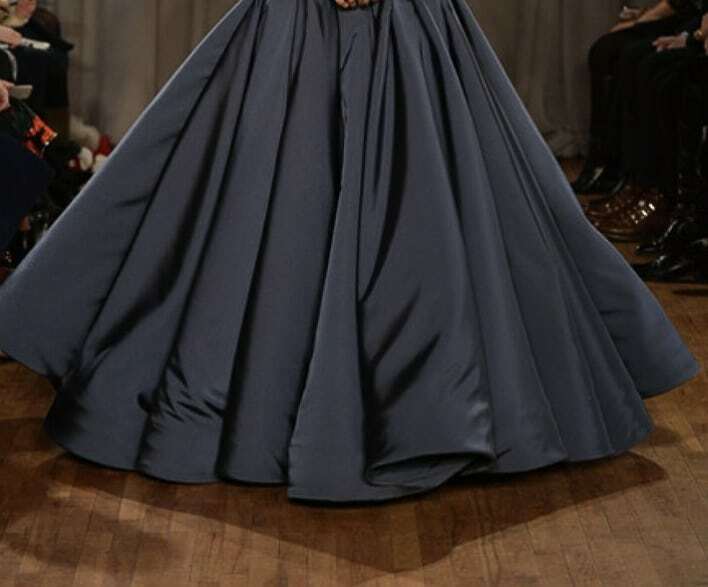 Zac Posen uses this technique a lot. A more subtle example where the braid is used just to add some extra stiffness to a straighter hem. You can see a little line where the top edge of the braid is tacked inside the skirt. Without it this skirt would be falling closer to the legs and the fish tail would not be so exaggerated as it is. Here it is left visible as a contrast at the hem. Dior Haute Couture. A fine strip of crinoline can be used to give the same curl to the edge of a veil. This entry was posted in Blog, construction, Haute Couture, History of fashion, Ideas for brides, veil. Bookmark the permalink.